Want to know if your credentials are compromised? 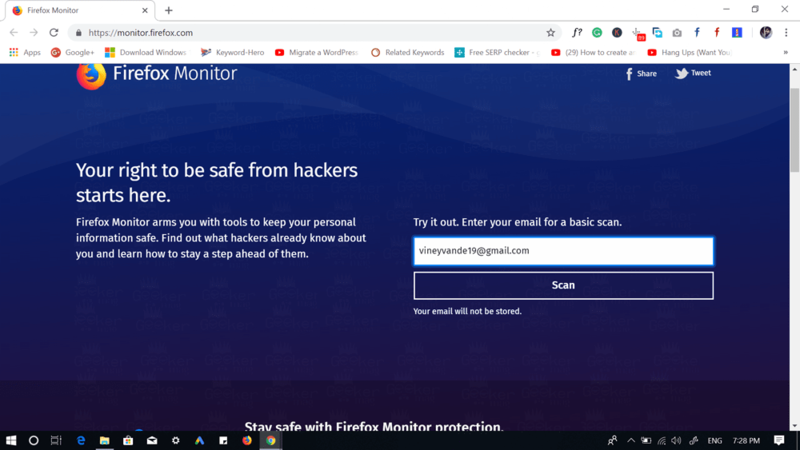 Try Firefox Monitor, the new security tool from Mozilla. 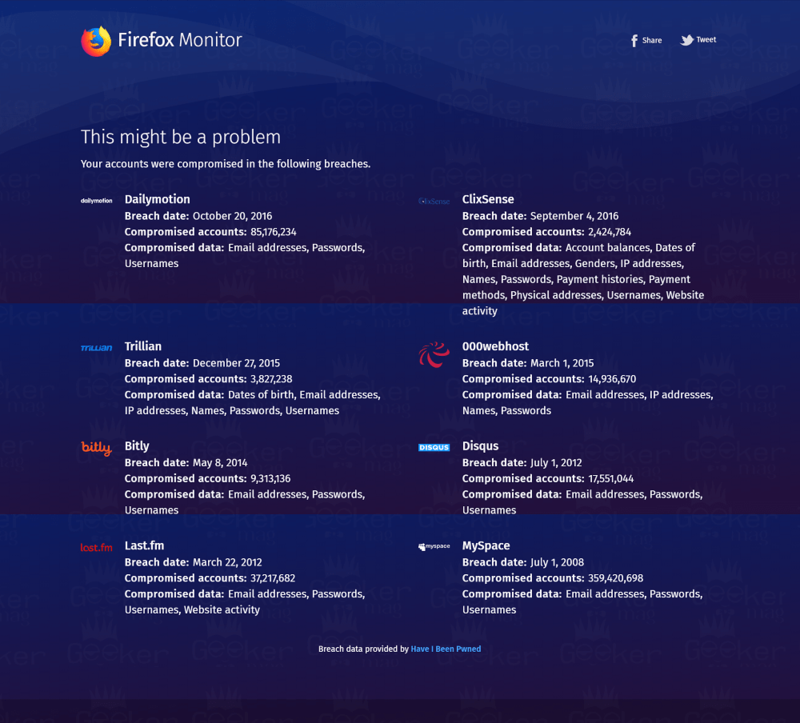 Mozilla recently unveiled its new security tool named as Firefox Monitor. This helps users find out when one of their passwords involved in a data breach. Remember the web tool Have I Been Pwned? Firefox Monitor is a similar tool but from Mozilla. Use Firefox Monitor to Find out Have you been pwned? 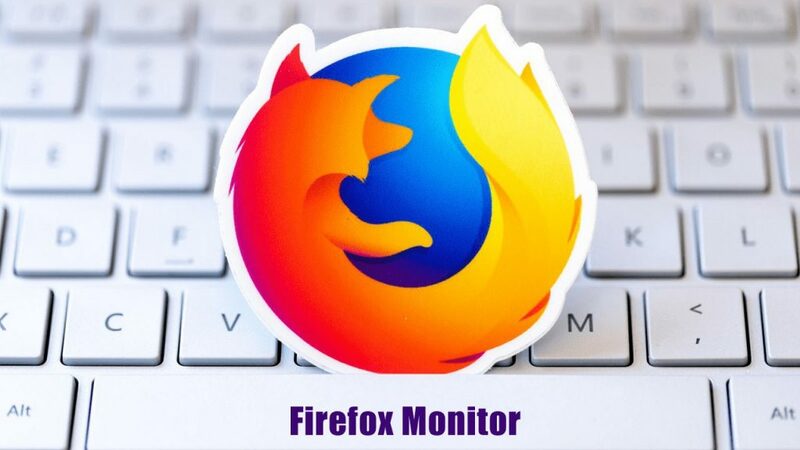 The Mozilla was testing their security tool for the last several months, and after getting positive feedbacks, the company finally decided to launch Firefox Monitor. Guess what? It is not mandatory to use Firefox web browser to use the Firefox Monitor. Using Mozilla’s new security tool is a two-part process. At first, it will examine if your email address was part of a recent data breach. 1. Launch your default web browser and visit monitor.firefox.com. 2. Here, you need to type the email address in space provided on the page and hit the Scan button. Firefox Monitor will scan Have I Been Pwned database and present you the list when your email address was compromised. Your accounts were compromised in the following breaches. Your Email is Compromised Now what? 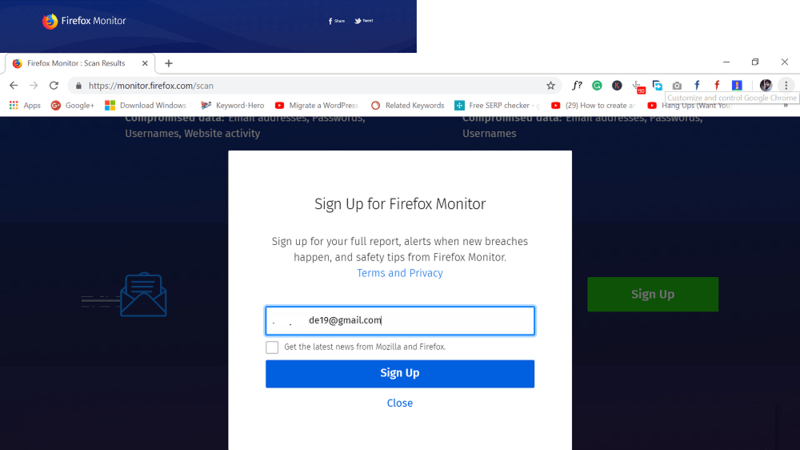 After the Breach data details section, you will find a section which reads “Stay safe with Firefox Monitor Protection.” Here, click on the Sign Up button next to it. Next, you need to enter the email address again, but this you’re entering the email address to register yourself to get notifications about future data breaches. In future, if your email address gets compromised, you will get the email from the Mozilla informing you about the data breach and suggests you to change the password as soon as possible. Data breached are ubiquitous nowadays, so it is a good idea to monitor if your credentials have been compromised or not. Like Have I Been Pwned, the Mozilla’s Firefox Monitor doesn’t offer anything additional, but it could bring it to a broader and bigger audience. Have you been pwned? Why don’t you give a try to Firefox Monitor? Find this new security tool from Mozilla useful? What are your thoughts about Firefox Monitor? Feel free to share in the comments.